Wolf and Mellett in their Talk origins paper, The Role of ‘Nebraska man’ in the creation-evolution debate,1 claim Nebraska man was a careless mistake by an honest scientist. However, the evidence suggests that Osborn deliberately overstated the find because the theory of evolution was centre stage in a struggle for control of education policy in America. It is true that in the end, the Nebraska man find was not central to the Scopes Trial, but it was used as an effective tool to undermine Bryan, the well-known opponent of evolution and prosecution lawyer at the trial, and it proved useful in the campaign to promote evolution. Harold Cook, a rancher and occasional paleontologist, found a small well-worn tooth in 1917 that later gained notoriety as Nebraska man. The tooth was found in the sedimentary layers in the Northwestern part of the State of Nebraska, and was later promoted at a time when evolution was under attack by William Jennings Bryan. The find also became enmeshed in public disagreement ahead of an important trial related to the future of education policy in America. The sedimentary layers in which the tooth was found were at the time thought to be Pliocene, although more recently they have been re-classified as Miocene by geologists. Some five years after Cook found the tooth he submitted it to Henry Fairfield Osborn for identification on the 14th of March 1922. Osborn, then President of the American Museum of Natural History in New York, was a noted vertebrate paleontologist, and without conducting extensive studies hurriedly replied to Cook about his excited conclusions. Within a month of receipt, Osborn had declared that this tooth looked 100% anthropoid,2 and announced it to the greater American public as the first American anthropoid ape, giving it the impressive name Hesperopithecus haroldcookii. Figure 2. 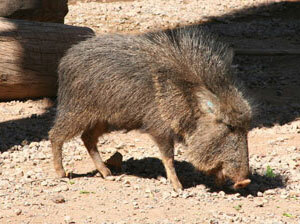 A Chacoan peccary Catagonus wagneri in Phoenix Zoo, Phoenix, AZ. This animal was once thought extinct and is similar to the peccary the Nebraska tooth came from. Evolutionists today seek to play down the erroneous find, claiming that it was not widely accepted by the science community, and assert that it was a simple mistake quickly corrected by the evolutionary scientists themselves. For example, Wolf and Mellett1 claim that other discoveries helped to limit the damage to evolutionary science from the fallout from Hesperopithecus such as that of Australopithecus and Sinanthropus, the later more commonly known as Peking man. The fraudulent Piltdown man find was also working its magic in the minds of people and helping to craft the acceptance of evolution in society during the period of the 1920s. However, it is not so easy to play down the way Nebraska man was handled as being a simple error. An examination of the available evidence and statements suggest that it was not only used to promote evolution in the mind of the public ahead of the important and carefully arranged court case, but also to undermine Bryan, who was the chief opponent of evolution in America at the time. Upon receipt, Osborn quickly made a number of casts of the Nebraska man-tooth, sending copies to twenty-six institutions in Europe and America (see figure 1). Although evolutionists may claim that this erroneous identification was a case of a simple mistake caused by an over-excited imagination, this tooth served a very useful purpose in the few years and months before the important trial that undermined Bryan. Osborn promoted this find with a great deal of enthusiasm, and in the few months ahead of the famous Scopes Trial he succumbed to the temptation to extract maximum publicity from this find in exchanges with his anti-evolution opponent Bryan. However, looking at statements made by Osborn in the period following his initial enthusiasm, he does seem to begin to carefully qualify his view with a degree of uncertainty in later announcements before returning to the ‘truth’ of this tooth. Osborn was seemingly careful to protect his reputation following disagreement in Britain from notable paleontologists over the Nebraska find. A group of leading authorities in paleontology in America had cast doubt on the authenticity of the fossil, and this news leaked out in the American Museum Novitiates, 6 January 1923. After initial enthusiasm, Osborn was at the time happy to settle for the hedged middle ground with identification of the fossil given as an anthropoid ape, although not necessarily a direct human ancestor. It would seem that in the few months before the Scopes Trial, Osborn was using the Nebraska tooth to leave an impression in people’s minds that evolutionary scientists were certain that the tooth was from an ape-man. … It was nothing short of deliberate deception. 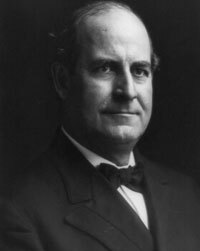 William Jennings Bryan. The false identification of the Nebraska tooth was used by Osborn to attack Bryan’s integrity. Coincidence indeed, but Osborn also suggested with a mocking tone that Hesperopithecus should really be named Bryopithecus, calling Bryan the most distinguished Primate in Nebraska. Osborn was also happy to place the defence of the Nebraska tooth in the hands of a close colleague, William King Gregory. Having been tasked with examining the evidence further, Gregory compared the fossil with teeth from apes and monkeys, and in a first paper in 1923 stated that it ‘combines characters seen in the molars of the chimpanzee, of Pithecanthropus, and of man, but … it is hardly safe to affirm more than that Hesperopithecus was structurally related to all three.’ In a later paper in that same year, Gregory appeared to change track a little, and stated that the closest resemblance was with the ‘gorilla-chimpanzee group’. Gregory continued fieldwork in Nebraska in the spring of 1925 and began to uncover evidence that what was actually found in the soil of this State was the tooth of a peccary, a type of pig (figure 2). But this work was not written up until 1927, after the Scopes Trial had ended. The ghost of Hesperopithecus was certainly present as an impression in people’s minds, with no retraction given by Osborn or Gregory during the trial despite their knowledge and growing doubt of what was really found. Five days later on the 12th July, at the start of the Scopes trial, Osborn responded in a rather uncharacteristic manner again changing tack. It would appear that he was becoming increasingly aware in June and early July of 1925 that evidence from Nebraska that Gregory was uncovering did not support his assertions that the tooth was from an ape-man. However, he did not use his New York Times article to correct any misconceptions, but launched into a strong defence of evolution. Osborn reprinted Bryan’s claims from five days earlier to leave the impression that the Nebraska find was still evidence for evolution, but then failed to even mention it in his own writing. It would seem that no evidence in support of Hesperopithecus was presented at the Scopes Trial. Having built a strong impression in people’s minds, Osborn, who was initially called as a scientific witness at the trial, could leave the evidence out of harms way. In the end, Osborn was not called to give evidence at the trial. It is possible that the ACLU feared that Bryan would bury their case with the truth from Nebraska, and legal teams often change strategies ahead of trials to win the best outcome for their clients. But the truth seems to be that the defence team in fact wanted to lose the trial so that the case could be taken on appeal to a higher court and thus gain a constitutional judgement in favour of the teaching of evolution.12 Although the tooth was not apparently submitted as evidence, the ghost of Hesperopithecus was certainly present as an impression in people’s minds, with no retraction given by Osborn or Gregory during the trial despite their knowledge and growing doubt of what was really found. One person who was more circumspect about the Nebraska find was Arthur Smith Woodward, notable for his part in the Piltdown man ‘finds’ that were later uncovered as fraudulent. Woodward showed some scepticism towards the Nebraska tooth, stating that such a find seemed unlikely, this seemingly on the basis of European prejudice, suggesting that such an artefact could not be found in North America without more conclusive evidence.17 Woodward was also perhaps keen to preserve the pre-eminence of his own work at Piltdown. Osborn found himself a little torn as a result of this disagreement in Britain, noting that Professor Elliot Smith had showed too much enthusiasm for the Nebraska find while others such as Woodward had been too incredulous. It was as a result of this equivocation, together with comments from colleagues, that Osborn found the need to sit on the fence claiming that Nebraska man was an anthropoid ape. Once the Scopes Trial was over and a couple of years had lapsed, the real evidence surrounding the Nebraska tooth came out. Sadly though, Bryan, having won the trial, died only five days later on 26th July 1925 and did not get to hear about it. It would seem the trial took its toll on Bryan’s health.17 Even though Gregory knew the tooth was probably not all it appeared to be prior to the trial in June 1925, it was still two and a half years later before Gregory’s retraction was finally published in the Science journal.18 With Nebraska man an embarrassment, Osborn also changed his view of the evolution of man, arguing instead that mankind had evolved along a parallel path to that of the evolution of apes. Wolf and Mellett suggest three reasons why Osborn might have made this mistake. Firstly, they suggest that the presence of some African species such as antelope in the same American layers in which the tooth was found gave some comparison to various African ape-man research programmes. If antelope could have crossed to America, they speculated, so could ape-men. However, bearing in mind Osborn’s swift conclusion about the evidence, it is doubtful whether he really had time to engage in such subtle thinking. Thirdly, Wolf and Mellett suggest that the tooth was well worn and as such had strong similarities with that of a primate. They also claim that it may have been rotated by 90 degrees, while the animal was still living, to produce the unusual shaped markings that had more in common with primate wear than that of a pig. Although they give documented evidence in support of this claim, Wolf and Mellett do admit that Osborn should have known better by showing greater caution, especially in light of the research of Cook and Matthew. So, at the very least, Osborn should have known better in his initial identification, showing greater caution, especially when a close colleague of his had noted and published the similarities some years previously. Later, when evidence began to show that this tooth was from a type of pig, Osborn should have admitted his mistake before the Scopes Trial began and not continue to promote this tooth as an important truthful find, thus allowing the real truth to remain hidden for another two and a half years. While the evolutionary community would want to play down this episode as a simple mistake due to over-enthusiasm, there are aspects of it that look like a deliberate plan of deception on the part of Osborn and the evolutionary establishment. 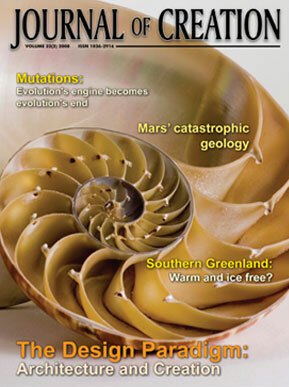 The tooth was found in the state of Nebraska, Bryan’s own State, and revealed to the world only a few days after Bryan began to campaign against evolution in a major publication. Osborn must have known that the teeth of pigs, especially well worn ones, have close similarities to those of primates and humans. After showing some equivocation after his initial enthusiasm, due to critical comments from Europe, Osborn returned to the full promotion of this fossil as providing factual evidence for evolution a few weeks before the Scopes Trial began. But at the start of the trial he simply stopped talking about it instead of admitting that it had been erroneously identified. 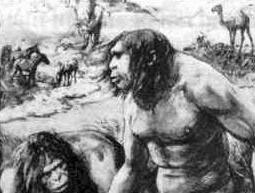 Although neither the tooth nor Osborn made an appearance at the trial, the impression was left that Osborn fully supported its identification as an ape-man. However, it would seem that the defence team at the Scopes trial wanted to lose so as to appeal to a higher court for a constitutional judgment. It is therefore more likely that the Nebraska tooth was used as a tool for attacking Bryan, who was seen as an important and dangerous critic of evolution. It is hard to escape the conclusion that all of this falsification of evidence was done as part of a political campaign, fought through the courts, to get evolution taught in schools and to remove the teaching of creation. The famous Scopes court case was staged to counterattack the influence of creationist thinking in America and the teaching of creation in schools. The evolutionary scientists who claimed to be guardians of good science standards should have acted with greater integrity with their level of education and training, instead of apparently fabricating evidence. Despite their position in society, they made very bold statements about the tooth on the flimsiest of evidence and promoted their conclusions widely and loudly. Despite protestations to the contrary by the evolutionists, it looks very much like part of a deliberate campaign or even a confidence trick on the part of the leading American paleontologists and cannot be dismissed as a simple error. One may wonder how the education of children is improved by the deliberate falsification of evidence in this way. Wolf, J. and Mellett, J.S., The Role of ‘Nebraska man’ in the creation-evolution debate, Creation/Evolution (National Center for Science Education) 16:31–43, 1985; . Return to text. Fairfield, O.H., Hesperopithecus, the first anthropoid primate found in America, American Museum Novitates 37:1–5, 1922. Return to text. McCalla, A., The Creationist Debate, Continuum, London, p.133, 2006. Return to text. See for instance: Taylor, I., ‘Nebraska Man’ revisited, Creation, 13(4):13, 1991. Return to text. Matthew, W.D. and Cook, H.J., A Pliocene fauna from western Nebraska, Bulletin of the American Museum of Natural History 26:361–414, 1909. Return to text. Cited in McCalla, ref. 3, p.161. Return to text. Bryan, W.J., The Bible and Its Enemies, The Bible Institute Colportage Association, Chicago, IL, p. 19, 1921. Return to text. Osborn, H.F., Evolution and religion, The New York Times, Sec. 7, pp. 2, 14, 5 March 1922. Return to text. Osborn, H.F., Hesperopithecus, the first anthropoid primate found in America, Proceedings of the National Academy of Sciences 8:245–246, 1922. Return to text. Osborn, H.F., The Earth speaks to Bryan, The Forum 73:796–803, 1925. Return to text. Bryan, W.J., Mr. Bryan speaks to Darwin, The Forum 74:101–107, 1925. Return to text. McCalla, A., ref. 3. p. 161. Return to text. Smith, G.E., Hesperopithecus: the ape-man of the western world, The Illustrated London News, p. 944, 24 June 1922. Return to text. Forestier, A., The earliest man tracked by a tooth: an ‘astounding discovery’ of human remains in Pliocene strata (A reconstruction drawing by A. Forestier), The Illustrated London News, pp. 942–943, 24 June 1922. Return to text. Quennel, C.H.B., Mr. Amedee Forestier, The Times (London), p. 19, 19 Nov. 1930. Return to text. Anon., Teaching of organic evolution: a protest meeting, The Times, 13 February 1935. Report of speech by Sir Ambrose Fleming at the first public meeting of the Evolution Protest Movement held in London, 12 February 1935. Return to text. Woodward, A.S., The earliest man? The Times (London), p. 17, 22 May 1922. Return to text. Gregory, W.K., Hesperopithecus apparently not an ape nor a man, Science 66:579–581, 1927. Return to text. Smith, G.E., The evolution of man; in: Early Man: His Origin, Development and Culture, Ernest Benn Limited, London, pp. 13–46, 1931. Return to text. Boule, M., La vraie nature de l’Hesperopithecus, L’Anthropologie 38:208–209, 1928. Return to text. Boule, M. and Vallois, H.V., Fossil Men: A Textbook of Human Palaeontology, Thames and Hudson, London, 1957. Return to text. Anon, Dr. Straton assails Museum of Natural History, The New York Times, Sec. 2, p. 1, 9 March 1924. Return to text. Straton, J.R., Dr. Straton offers a ‘pig-tooth’ debate, The New York Times, p. 19, 27 Feb. 1928. Return to text. Cadbury, D., The Dinosaur Hunters, 4th Estate: London, pp. 74–76, 2001. Return to text.